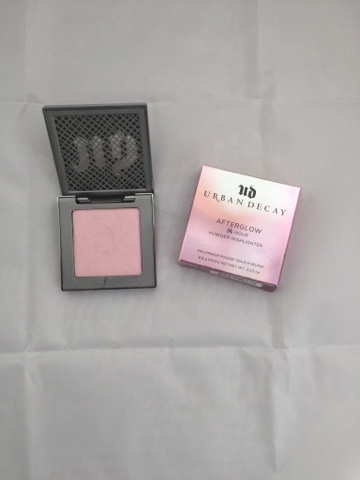 When your best friend is also a makeup fiend, no new release ever passes you by and this is exactly what happened with the Urban Decay Highlighter. But I guess I'll let her off because just look they're so pretty. The range currently has three shades: Sin, Aura and Fireball. I picked up the highlighter in Aura, which is a light pink which looks slightly iridescent when applied. The highlighter itself is so pigmented, that a little bit goes such a long way. I wasn't too sure if this shade would be right for me because I naturally have rosy cheeks anyway; the last thing I want is to make my face even pinker. I also wanted to pick up Sin as well, but it was out of stock on the Debenhams website when I placed my order. After getting to test Aura out, I can now make an informed decision that in fact I do actually need a second shade. Goodbye, £19. The price tag is pretty hefty, but I think because of how little you'll need per application, in the long run, it will be fairly good value for money. 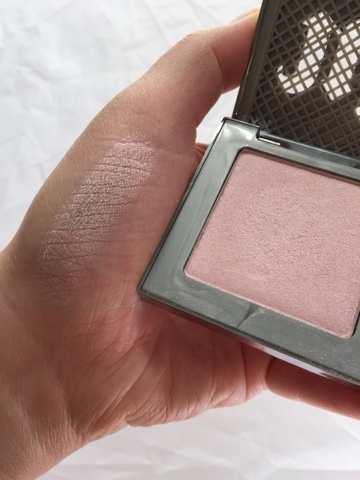 If you're like me and aren't a huge highlighter user, this is definitely something worth splashing out on because just one shade can be used for all occasions! I know, the whole collection is gorgeous! It's made me such a highlighter fiend! Ooh that looks so pretty, I love Urban Decay's stuff they have so many good ranges! 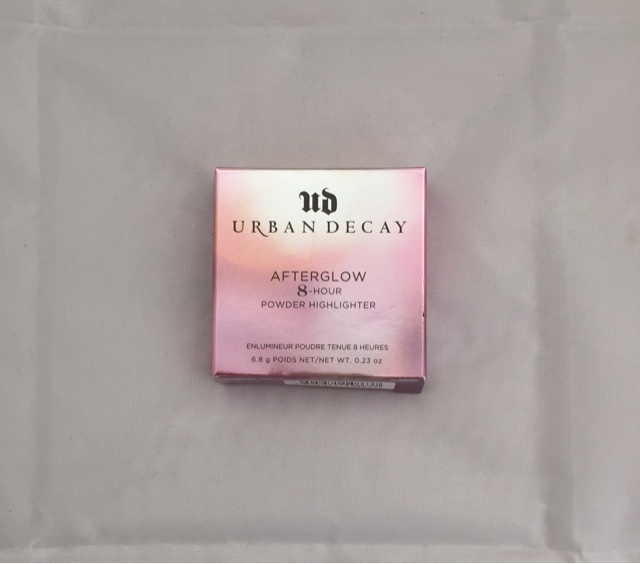 This is my first product I own from them - but there's definitely plenty more on the wishlist! Aw thank you- I shall go look!